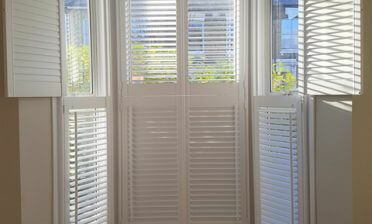 We were in Hanwell, West London to install these solid shutters that we had designed for a customer. 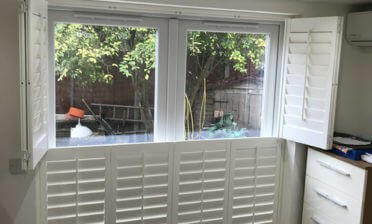 The shutters were to be fitted to a hatch between the kitchen and dining room, which is an excellent place to have our bespoke shutters installed. This allowed for our customer to keep the hatch covered the majority of time with the option of opening the panels up and over to the sides when required. We used 6 solid shaker panels custom created to exactly match the opening size and easily open from the middle outwards simply by using the two knobs in the centre. 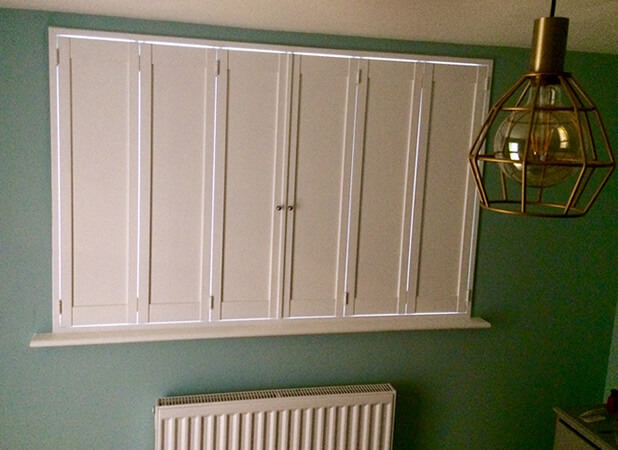 The panels were finished in pure white paint with hinges of the same colour, to fully match the window sill and radiator below. 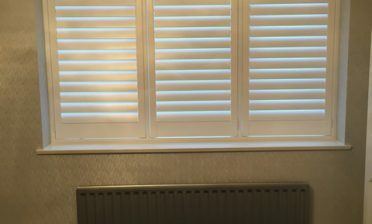 The shutters were created from our Sumatra hardwood range, a FSC certified white teak which is renowned for the creation of high quality products such as guitars and grand pianos! This hardwood is rigid yet lightweight, so perfect for an opening such as this where members of the family will want to quickly and easily fling them open.